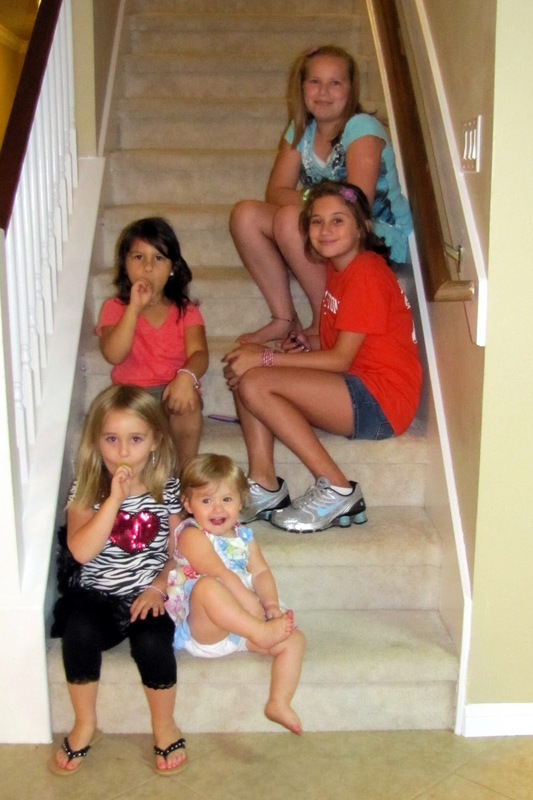 All of the girl's ranged in age from 1 year to 11 years, which made me worry that all of the girls wouldn't have fun. Luckily the older girls entertained the younger girls and everyone ended up having a lot of fun! 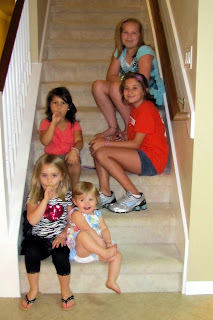 They danced, ate chicken nuggets and ice cream sundaes, and played a game of hide and seek (which consisted of a lot of running, squealing, and giggling girls). Yummy party favors fit for a princess....Ring Pops! Sundae toppings: Dinosaur sprinkles, chocolate chips, homemade whipped cream, and the biggest hit: maraschino cherries. Gabby having her first ever box of popcorn. She was so proud of herself watching "Snow White" and eating popcorn like the big girls! Katlyn loved her popcorn box so much she asked if she could take it home. Mia enjoyed the movie throughout its entirety while the other girls played. I bought everything for the party and made everything for the party in one day. My goal was to not spend a lot because we are focusing on saving money to buy our new house. I had a budget of $30. I borrowed my mom's Cricuit and made the popcorn boxes (the little girls loved it), cut out a few crowns to add to the white wrapping paper I used as a table cloth on the tale, cut out scrapbook paper to wrap around the ice cream cones, added ribbon to the boxes to make them a little prettier, gave each girl a ring pop and bracelet, made a board with small bags of Pop Rocks, bought ice cream (Blue Bell of course) and toppings, and got special nail polish and decals for their nails. I was proud because I stayed within my budget! I know it looks like a little over $30, but I already had the scrapbook paper, wrapping paper, jewelry, and boxes so I spent exactly what I planned which was impressive considering there were 4 Mom's and 5 girls! It was a lot of fun and I hope to do it again when we have our new home.